Ahmadu Bello University (ABU) is a federal government research university located in Zaria, Kaduna State. ABU was founded on October 4, 1962, as the University of Northern Nigeria. The university operates two campuses: Samaru (main) and Kongo in Zaria. There is also pre-degree School located in Funtua few kilometres away from main campus owned by the university. The Samaru campus houses the administrative offices, faculties of; sciences, social-sciences, arts and languages, education, environmental design, engineering, medical sciences. agricultural sciences and research facilities. The Kongo campus hosts the faculties of Law and Administration. The University of Ibadan (UI) is the oldest and one of the most prestigious Nigerian universities, and is located five miles (8 kilometres) from the centre of the major city of Ibadan in Western Nigeria. Besides the College of Medicine, there are now eleven other faculties: Arts , Science, Agriculture and Forestry, Social Sciences, Education, Veterinary Medicine, Technology, Law, Pharmacy, Public Health, and Dentistry. The University has residential and sports facilities for staff and students on campus, as well as separate botanical and zoological gardens. It has Faculties of Agriculture, Arts and Islamic Studies, Education, Engineering, Law, Medicine, Science, Earth and Environmental Studies, Pharmacy, Social, Management Science and the recent Faculty of Computer Science & Information Technology. Usmanu Danfodiyo University (UDUSOK, formerly University of Sokoto) is one of the initial twelve federal universities in Nigeria founded in 1975. It is in the ancient city of Sokoto. The school is named after Usman Dan Fodio, the founder of the Sokoto Caliphate. The main campus houses the administrative offices, sciences, social sciences, agriculture, arts and languages, education and research facilities. The city campus hosts the college of health sciences and school of veterinary medicine. A third site host the modern university teaching hospital. There is a fourth site built during the last administration Bafarawa of Sokoto State under the leadership of Alh. Attahiru Bafarawa. This site houses the School of Matriculation Studies where students opting for the Remedial Studies are admitted and taught before enrollment in the university (provided they have passed the exams). The National Open University of Nigeria is a Federal Open and Distance Learning (ODL) institution, the first of its kind in the West African sub-region. It is Nigeria’s largest tertiary institution in terms of student numbers and is popularly referred to as ‘NOUN’. 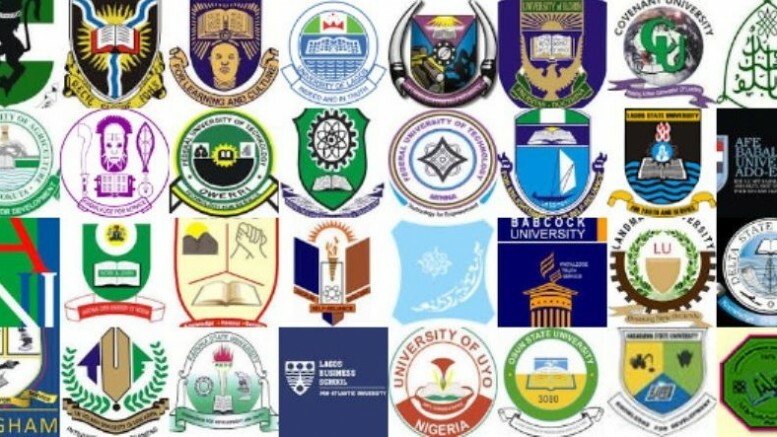 NOUN offers over 50 programmes and 750 courses but does not provide lectures to students in normal classrooms except some certain study centres, primarily due to constraints known to the University alone and the challenges usually faced by a developing tertiary institution.